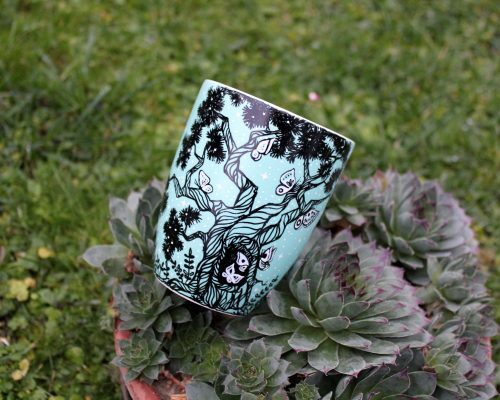 Each water bottle is hand painted with colors for ceramics and glass; when dry the mug is heat fixed in oven. 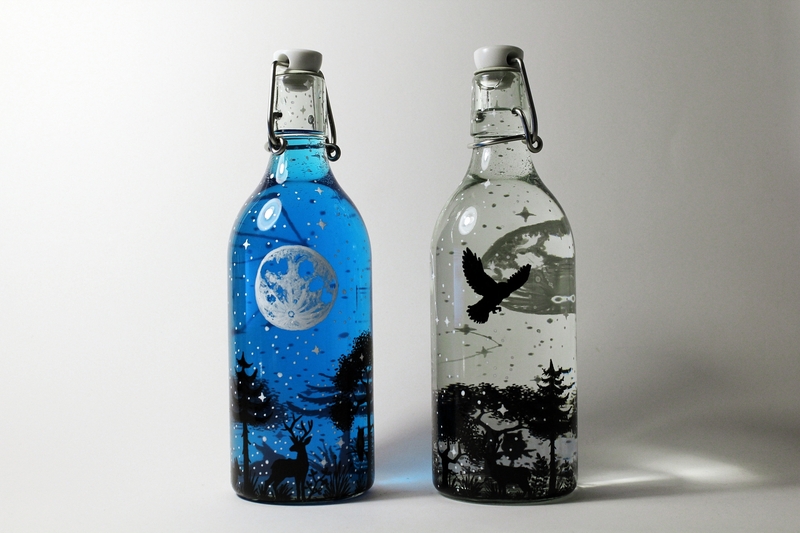 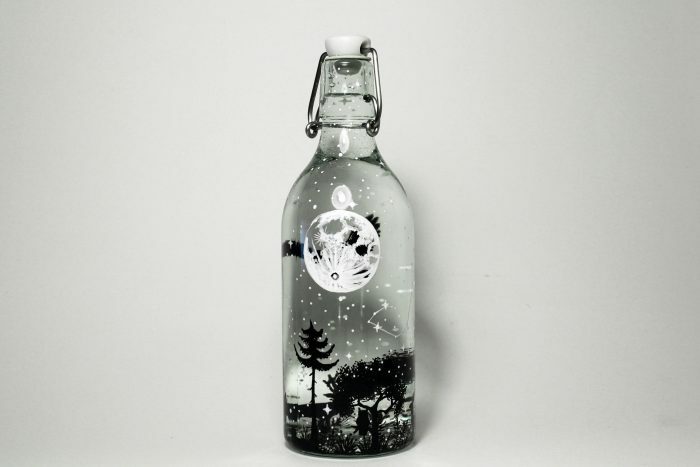 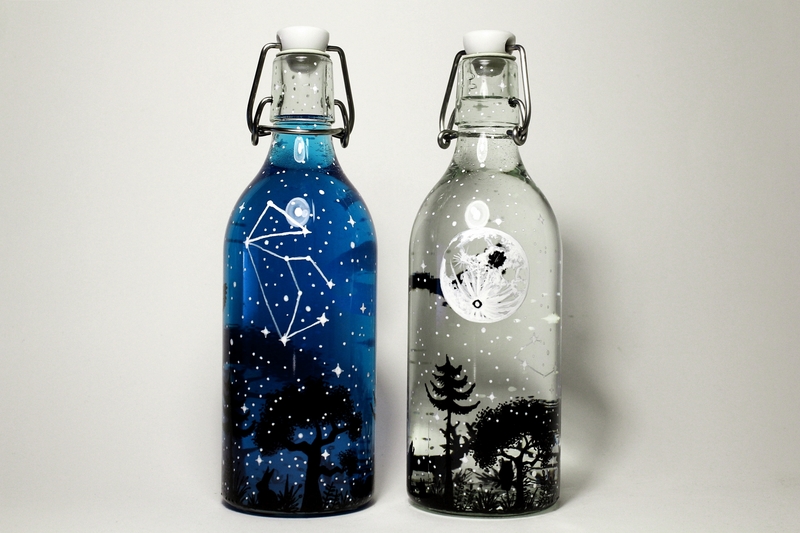 Moon forest water bottle is full of night magic which represents wild animal in forest. 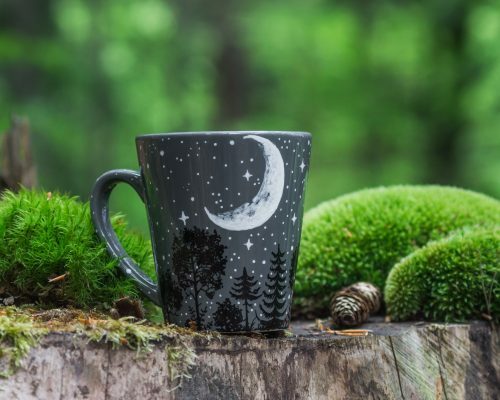 I add some curious bunnies, deer and birds with lupus constellation in starry night with full moon magically lightening the night.